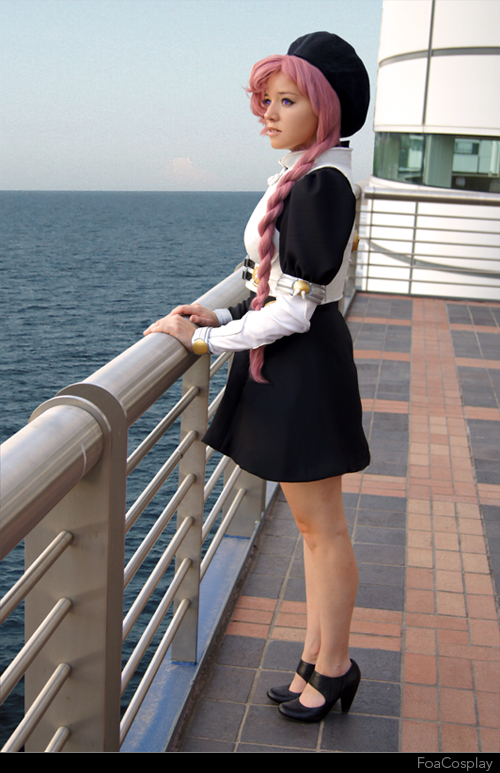 Interview with Foayasha | Cosplay Blog… with a Brain! It’s time for another interview, this time with Foayasha! She’s a lovely cosplayer from Texas, who is quite the talented costumer! Foayasha It’s one of those silly names that you pick your third year of high school. I never thought it would stick, but then it did. Broken down, Fóa – the female name for ‘Fox’ in Old Norse. Yasha – the Japanese word for Demon. 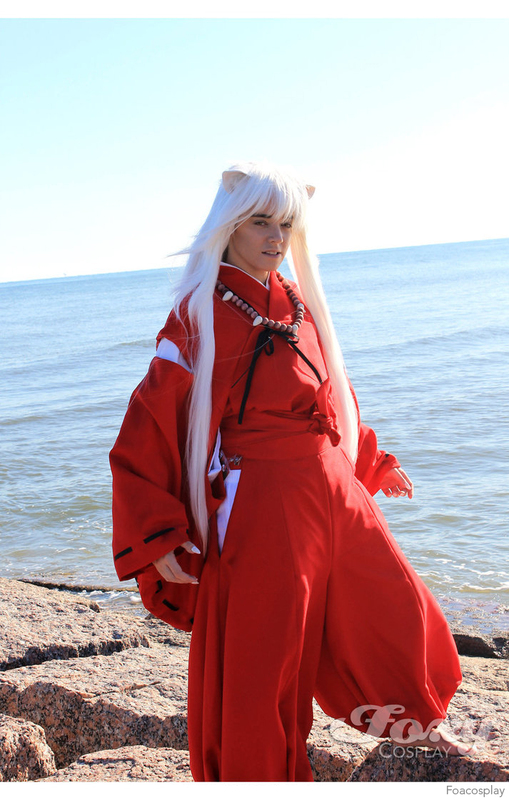 (I was a little too in love with Inuyasha at the time XD). Hey, at least I know nobody will ever take my screen name, this one is just too unique. My name means FoxDemon and it just stuck around for years and years. So now I go by FoaCosplay or just Foayasha (Foa for short). I started cosplaying seriously in 2011, on the team FoxyCosplay. We made a lot of cosplays in that single year span covering many series and characters. It sort of began by a chance meeting at a local anime meet up group, but it was a great experience, and during my time in the group I learned a great deal. So far I’ve worked with a lot of prop making materials, the basic cosplay mediums such as craft foam and paper-mache, and even a little more advanced and expensive – such as Wonderflex. Right now I am sort of stuck on expanded PVC board. I just see its use for so many different props and armor. The material is easy to modify and construct with. It really suits my style of crafting, and is extremely forgiving; I think that is why I like it so much. On my next cosplay I hope to put out a tutorial on how I use it, which is rather difficult to explain. I’ve got a few projects in my mind, though I don’t want to disclose what they are yet; mainly because I don’t want to set the bar too high for myself. 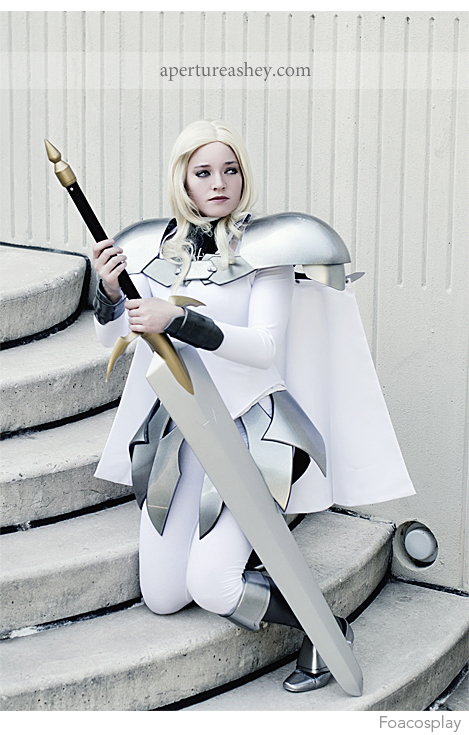 But I’ll be working with a lot of resin casting, which is a large armor cosplay. Another project will have a few more advanced techniques with my tailoring. I don’t do a lot of sewing, so this is something I need to work on. I love clean props, and ironed fabric. I know this seems like such a small thing. But making sure that the fabric is nice and smooth and that it fits properly is one of the best ways to bring out the quality in a costume. FedericaDN has some amazing prop work, and it is always completely finished – looks great. Her cosplays are also fitted well. She just looks amazing all the time. And recently I have been in love with Elliria, who you might recognize her from the Guild Wars 2 cosplay that has been going around recently. I LOVE her Chanter cosplay from Aion. Everything she does looks so polished and perfect. Great cosplayer right there. Others that I really enjoy updates from include Ryokodemon (ofcourse), QuautumDestiny, Cupcake Cosplay… gosh – so many to name. I generally feel that the cosplay community can be a very strong and encouraging group of people. There is negativity that I find comes from pressure outside of the real community – like outsiders looking in. Some people want to see perfection, and in most cases it is asking too much. When they don’t see it, for some reason, these people feel it necessary to berate and belittle cosplayers. It is rather disgusting. My biggest pet peeve within the cosplay scene is more value being placed on the quality of an image rather than the quality of a cosplay. There isn’t much that can be done about that, since in the end a good eye grabbing image is going to get seen. So I guess that would just push the great cosplayers to make sure that they get great pictures too. Sometimes that just isn’t realistic, though. Not everyone knows photographers willing to shoot for hour(s) to get perfect shots. Cosplay is an activity that can be time consuming and expensive. If you are going to do it seriously, make sure you do it for yourself, and be proud of what you’ve accomplished. Cosplay isn’t easy, and not every time are you going to get praise for all your hard work. Be happy with yourself and your work – that way if you get additional recognition it’s a bonus. I adore Katuscon. From what I could tell, this con had the best line up of cosplay related panels by some very reputable cosplayers. The cosplay scene at the con was tremendous, as well as a high number of photographers. I was asked a few times to do a photoshoot, rather than me begging a photographer for a few pictures. Other than that, I go to local cons, such as Anime Matsuri (Houston) or A-kon (Dallas). This year I am traveling back to my home state,Ohio, so I am doing a con there as well, Matsuricon. Thanks for the interview, Foayasha! You can see more of her work on her Deviantart and her Facebook!